﻿ Best Price on VIP Hotel Playa Negra in Puerto Viejo de Talamanca + Reviews! VIP Hotel Playa Negra features a gym, free Wi-Fi and an outdoor pool surrounded by lush gardens. Puerto Viejo Beach is 600 meters away. Each spacious 2-bedroom suite features tropical-style décor and a terrace with garden views. All suites have cable TV, air condition, safety box and a private bathroom with free toiletries. Kitchens include an oven, coffee maker and fridge. A breakfast is served daily at the Playa Negra (Not included) , and room service is available on request. There are on-site BBQ facilities, and local bars and restaurants can be found within a 5-minute drive. Cahuita National Park and Gandoca Manzanillo Nature Reserve are both just a 30-minute drive from VIP Hotel Playa Negra. 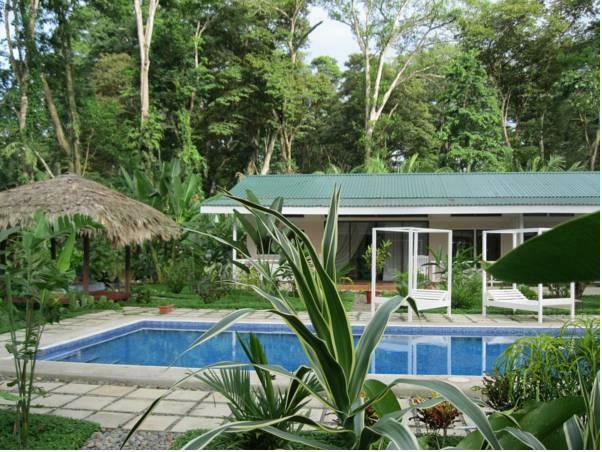 Puerto Viejo town is located 4km away from the property. Limon Airport is a 1-hour drive away. Free private parking is available at the hotel.